In case you’re wondering what Dev Gathering is about, Dev Gathering is the gathering for Developers to discuss anything about Games Development. It could be held weekly or biweekly, as announcements will be made through bulletin post and email. We will be having a Programming Discussion. Please bring your own laptops. Check it out and if you’re interested to join us or help in the projects, just drop some comments and we’ll get back to you ASAP!! You can also post your own projects and look for people to join to help you in it! To those who had created their own games (using any engine), and wish to promote or want to let us know more of it, do leave us your contacts during the GDC booth week from 28/7 (Mon) to 31/7 (Thurs). Your project will be rated during the FGCS event. Best project might get a prize. We’re very sorry to announce that Dev Gathering 2 has to be delayed to another week on Week 7 due to mid term examination. So there will be no Dev Gathering this Thursday, 24th of July 2008. Check out our website for any updates for Dev Gathering 2, or we’ll email you about the updates once it is confirmed. Good luck and all the best in your mid term test! 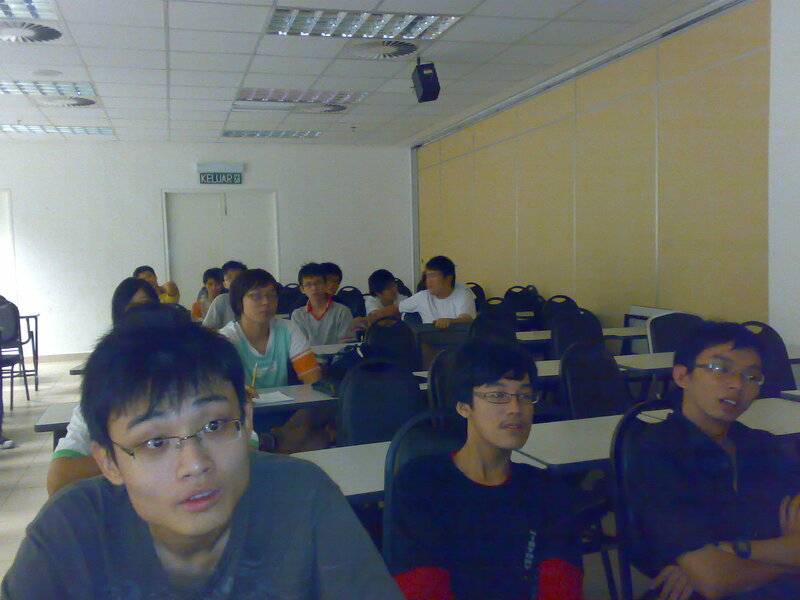 The first Games Development Gathering, or simply known as Dev Gathering, was held for the first time on the 16th of July 2008. By 8pm, only a few people came, so we waited for a few minutes and only then did we get a crowd. So once everyone had settled down, Lee Xing Yao, the club’s president, gave his speech. He introduced about the purpose of this gathering and other details. The main idea of this gathering is to gather people who have the same interests in developing games and create a group to manage a project together. 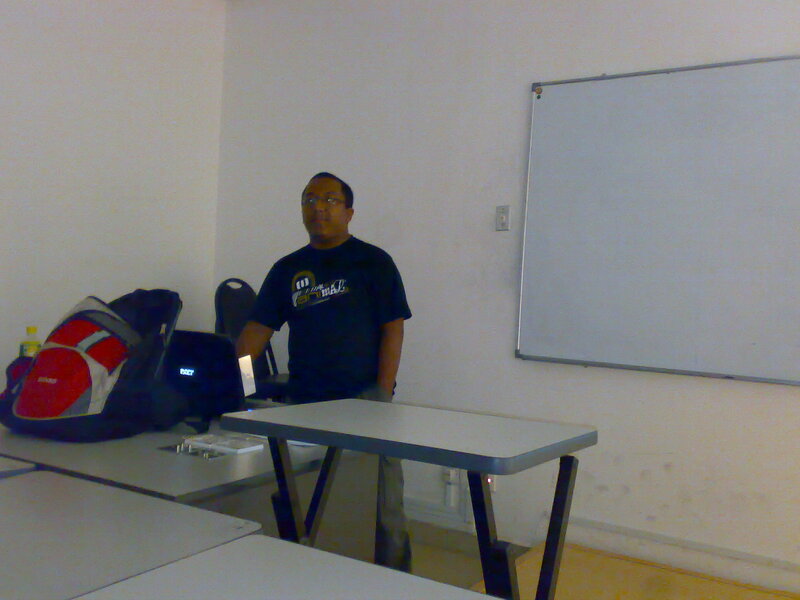 Anyway, we also invited a special guest, Buzz, to share his experiences in games development. Buzz is an ex-MMU student, and is now in the industry working as a game developer. He wanted to show some of his games, but because we don’t have the room’s computer admin privileges, he couldn’t install his games. What a pity!! But nevertheless, thanks to YouTube, he still managed to show some videos of the games he created. It really looked fun!! After that, it was Xing Yao’s turn to ahem, show off! So he downloaded some of his OWN games from his OWN website and showed it to us. Everything was made in Flash and it was really impressive what Flash (and also Xing Yao) can do! The gathering then ended at about 9.45pm. Those who were interested in forming their own development groups however mingled around to discuss their own projects. We hoped everyone enjoyed this gathering and we will hold more of this gathering depending on the need. So, game on!! The first GDC Dev Gathering in 2008/2009!! Games Development. It could be held weekly or biweekly, as announcements will be made through bulletin post and email.